1. It allows you to take stock. Coming out of a relationship gives you the opportunity to take a step back and reassess your life, what is important to you, and what you’re looking for in a relationship, and hopefully, a life partner. Sometimes when you’ve been in a relationship for a long time, it can be easy to just keep going with the flow, and not take the time to ask important questions like, ‘Why are we together?’, ‘Where is this relationship heading?’, ‘Can I see myself married to this person in the future?’, ‘Do we have similar goals and ambitions?’ and ‘Can we work together to achieve a common purpose?’ The end of a relationship forces you to take stock and address issues that may not have been addressed before, ask yourself tough questions, especially if you’ve made mistakes in the past and think about what lessons you have learnt. 2. It allows you to seek God’s plan for your life. I’ve noticed that difficult times in my life draw me closer to God, and breakups are no different. At this point, you realise that God is present, and if you draw nearer to Him, He will draw nearer to you as His Word says. But, it’s also an opportunity to seek Him concerning His plan for your life and His will concerning marriage. In Jeremiah 29 verse 13 He says, ‘You will seek me and find me, when you seek me with all your heart.’ In our brokenness, God is right there, listening, speaking and comforting us. As we draw nearer to Him, He guides us and sometimes even shows us why that relationship was not part of His perfect plan for our lives. 3. It frees you up to experience the fullness of what God has in store for you. The Bible says that every good and perfect gift comes from God and that He can do so much more than we could ever ask or think. When you leave a relationship that is not right for you, it frees you up to enter into what God has in store for you. Even if that relationship was not necessarily bad, or unhealthy, you may decide that your plans for the future do not align, and decide to go separate ways. Whilst the decision to go separate ways may be really difficult, it releases both parties to discover and live the best life that God has planned for them. 4. It can strengthen your friendships and relationships with others. When you’re going through a breakup, if you’re anything like me you may call one or two of your closest friends and family and pour out your heart to them. Even if your friends may not have supported your relationship, you will find that your good friends will be there for you, listening to you as you recount things for the umpteenth time over the phone! Some may organise a day out, or fun activities to cheer you up. 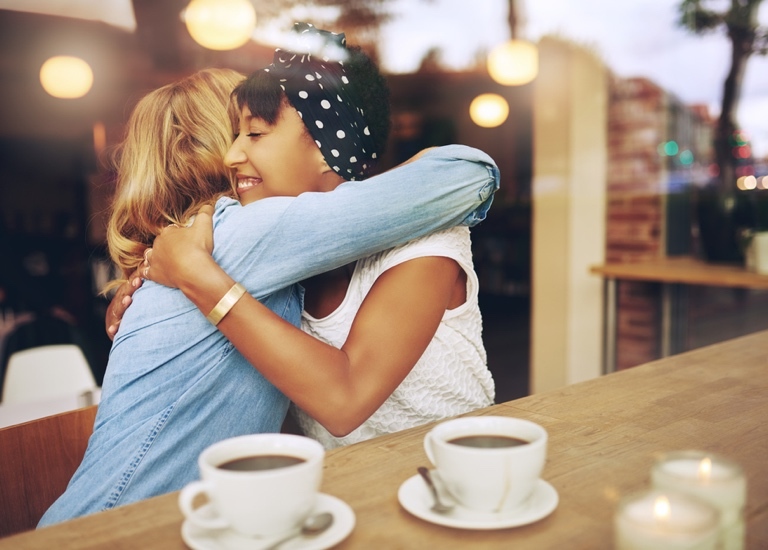 Friends that have been through similar situations can be very understanding and those moments of sharing and pouring out our hearts can draw us closer together. 5. It gives us hope for the future. This may sound surprising. Hope? After a breakup? Chances are that you may not feel very hopeful after going through a difficult breakup. But, the Bible teaches that God orders the steps of the righteous, and that includes every aspect of our lives, including relationships! If that relationship you were hoping would end in marriage has suddenly ended, you can be sure that it is because God has another plan. And God’s plan is always better. Rejoice that God did not allow you to go through with something mediocre, or worse still, potentially dangerous for your future. Trust that what is to come is much better than what was before. Your better days are ahead, and that is something worth looking forward to! Hope this encouraged you. Feel free to share your thoughts in the comments section below!